Just when you think you’ve got a better handle on Cyber Security! Now you can add WI-FI to the list of what makes us vulnerable to cyber-attack. This new attack, dubbed by experts, as “KRACK” is real and you’re going to want to read this! 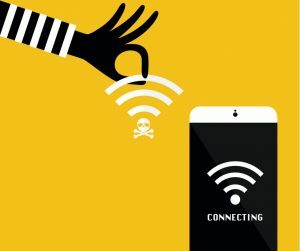 If you’re one of the 6.8 billion people who own a smartphone or one of the 300+ million global WI-FI users then you’re at risk along with the rest of the world!